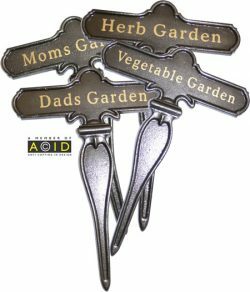 Beautiful cast iron garden products, plant tags, plant labels, hanging basket brackets, lockable hanging basket brackets and decorative bird feeder brackets, designed and made in the Great Britain by Lumley Designs. We have a small range but ever growing selection of garden products of constructive use, but at the same instance are ornate and add charm and character to gardens patios and conservatories. These products are unique to Lumley designs a family run business established in 1998 designers and makers of British cast iron products for the home and garden.